Norway has one of the strongest economies in the world and as a result, the population have plenty of disposable income. The Norwegian public has a strong interest in gambling, whether it be poker, horse racing or football. This interest in betting on sports, card games and other events does not seem to be shared by the state, with some rigid and strict laws in place to limit the betting output of the population. The purpose of the restrictions is to prevent what the government sees as potential social issues that develop as a result of excessive gambling and to protect the state-run sportsbooks. Although the laws seem prohibitive at face value, it is common knowledge that Norwegians find ways to get around the legislation and strike their wagers. At present, there are only two licensed online bookmakers in Norway, and both compare very poorly when compared with the multitude of other bookmakers operating in Europe and beyond. Naturally, Norwegian citizens want to get the best odds, most up to date technology and most extensive choice of markets, so many are forced to look beyond the fayre that is offered to them legally and domestically. The Norwegian authorities have always had a close eye on gambling and betting activities within the country, and the first piece of legislation pertaining to striking wagers backs well over one hundred years ago, to 1902. At that time, the government implemented the Norwegian Penal Code which ruled that only those in possession of a special license were able to offer games of chance. Getting a license was made challenging and paved the way for the authorities to establish a monopoly over the gambling industry. Following on from the first piece of legislation, Norway introduced the 1927 Totalisator Act. Essentially this act gave Norsk Rikstoto a monopoly over horse racing betting in Norway. For most of the remaining part of the 21st Century, there was little change to the rules and regulations of betting, until 1992, when the Gaming Act was introduced. By implementing the Gaming Act, the Norwegian government granted Norsk Tipping a monopoly on operating football, lotto and other sports betting within the country. Three years later in 1995, the government implemented a more detailed and comprehensive piece of legislation, The Lottery Act, which regulated all lotto games and other similar betting mediums. By the mid-2000’s, there had been such technological advances that the laws had essentially become outdated, and as a result, the government banned slot machines completely, replacing them with video terminals which were owned by Norsk Tipping. By limiting customers to the video terminals, those in power were able to limit the spend of each individual on the video slots by making them pay with a special card, which had daily limits imposed on it. With regulation being introduced for the slots, in 2008, the government then took aim at online gambling and made it illegal for citizens to bet with foreign bookmakers. Although this law was in place, it did little to deter Norwegian gamblers from using the top sportsbooks around the world, as the vast majority were happy to let players still sign up despite the prohibition. Not deterred, in 2010 the government took a big step in order to try and prevent citizens from gambling illegally with foreign bookmakers. Working off a similar model to that implemented by the USA, the Norwegian government introduced a law which prohibited financial transactions between Norwegian citizens, and foreign bookmakers, effectively aiming to stop them using debit and credit cards on a range of sites. This does not seem to have deterred Norwegian players from using foreign sportsbooks, as A) e-wallets have quickly become a popular method for both customers and sportsbooks and therfore, provide an alternative and B) banking institutions were not overly strict in their monitoring of transactions, and consequentially, many sportsbook related payments were still going through. As mentioned, Norwegian bettors only have two legal options when they are looking to strike wagers from their home country. For those wanting to bet on sports betting, lotteries and other similar games, Norsk Tipping is the destination. Players who have a penchant for horse racing have to use Norsk Rikstoto, the state-run bookmaker who cover the horse racing if they want to stay in the confines of the law. Although the government have tried their best to keep Norwegian bettors’ business with the domestic companies, the reality is that most citizens go elsewhere to place their wagers due to better odds, technology, customer service and much more choice. European bookmakers are the main choice. 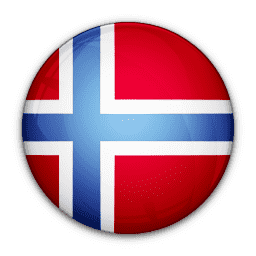 A couple of years on from the legislation banning Norwegian bettors from using foreign sites, over three hundred sportsbooks from around the world stated that they still accepted players from the Scandinavian country. Of course, football is a very popular sport in Norway, as with much of the rest of the world, and in terms of participation, it ranks first, with nearly one in ten people in the population playing organised football. The Eliteserien is the top tier of football in Norway and there are 16 clubs in competition for the title in 2018. Rosenborg are the team who have performed the best over the course of history, and they have racked up 25 titles. Although football ranks top of the list for participation, it is not actually the most watched sport, with biathlon and cross-country skiing two sports that top the list. Winter sports being prominent in Norway is no surprise given the climate, and ski jumping is also very popular in the country. There have been multiple world champions and Olympic medallists from all of the aforementioned disciplines. Horse racing is enjoyed by a large percentage of the Norwegian population, but the racing is a little different to the conventional thoroughbred action in the rest of the world. Harness racing is the discipline of choice in Norway and involves riders who occupy chariots directly behind their mount, steering and encouraging the horses to victory. Poker has always been a popular sport in Norway and the rise of e-sports has been well received by the tech-savvy Scandinavians with a penchant for a first-person shooter. The ability to bet on the outcomes of said e-sports is an added bonus. As it stands, Norwegian citizens are not taxed on their betting winnings, so long as those winnings were generated through Norsk Tipping or Norsk Rikstoto. Although there is no tax on domestic winnings, bettors are required to declare their winnings if they are over 100,000 NOK (just over £9000). What are the governments’ intentions for making players record their winnings? They might want to keep an eye on just how much the population is gambling and how much they are winning. While some domestic betting is under the umbrella of being tax-free, the same cannot be said for winnings that were generated abroad. Taxing foreign income from gambling was initially aimed to target poker players who were making a living out of the game around the world, but in today’s climate, it has unintentionally covered the online sports betting world. However, the tax situation gives individuals who bet on sports or games online a conundrum, as technically doing so is illegal, so if they were to declare winnings, then, in theory, it is an admission of guilt from the individual. A strange situation indeed! Anyhow, the tax rate for winnings in excess of 10,000 NOK will be 24%, a chunky fee. The Norwegian authorities have always aimed to keep a lid on the amount of gambling undertaken by its citizens. Despite the relatively recent implementation of new laws and regulations, they appear to be fighting a losing battle as the proliferation of online sportsbooks makes it difficult for the authorities to keep up, even if they were to start banning IP addresses. For the foreseeable future, it appears that Norwegians can bet with the sportsbook of their choice (and if they are feeling very generous, they will declare their winnings to the government for tax purposes! ).